In the 2003-04 competitive season, Weiss continued his winning ways taking the coveted Skate America title and finishing a strong second in the U.S. Championships. Currently ranked third in the world by the International Skating Union, the 3-time United States National men’s figure skating champion and 2-time Olympian, Michael Weiss, has combined his passion for skating with an innate athleticism to develop a strong, forceful and unique style that has made him a fan favorite around the world. While his jumps are explosive and spins dizzying, his footwork is intricate. His choreography blends these different elements into routines that emphasize his elegant artistry while demonstrating his impressive power. This power was undeniably displayed when he became the first U.S. skater to land a quadruple toe loop in competition at the 1999 World Figure Skating Championships. He is also the inventor of a remarkable move that brings audiences to their feet, a back flip with a full twist appropriately called the Tornado. The Tornado is currently being considered for inclusion in the Guinness Book of World Records. Weiss was born August 2, 1976, in Washington, D.C. and hails from an extremely athletic family. His father, Greg, was on the 1964 U.S. Olympic Gymnastics team while his mother, Margie, was a national gymnastics champion as well. Weiss, who began skating at the age of nine, quickly showed an inherent skill at combining the necessary strength, speed and athleticism needed to excel in the sport. His junior career included the U.S. National title for 1993, with a second place at Junior Worlds, and then the World Junior title in 1994. The fast rising star was only 14-years-old when his fancy footwork earned him second place in the National Championships Senior Figures. Weiss had quickly become a force to be reckoned with and soon took his rightful place among the top male skaters in the world. He earned his first U.S. National Championship title in 1999, after placing a close second two years in a row. In 2000, his performance earned him his first perfect 6.0 score for artistry and a second national title. Weiss, currently coached by Don Laws, also captured the bronze medal at the 1999 and 2000 World Championships. In 2002, Weiss claimed the first Grand Prix title of his career with a dramatic gold medal finish at Trophée Lalique in Paris. Weiss followed that impressive victory by joining such skating legends as Brian Boitano, Scott Hamilton and Todd Eldredge in becoming a 3-time U.S. National Men’s Champion with his victory at the 2003 U.S. Championships in Dallas, Texas. 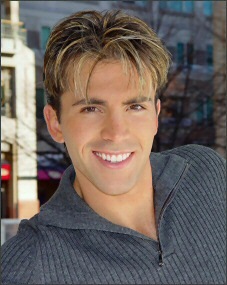 In the 2003-04 competitive season, Weiss continued his winning ways taking the coveted Skate America title and finishing a strong second in the U.S. Championships, paving the way for him to represent the United States for a seventh appearance at the 2004 World Championships in Germany where he placed a respectable sixth. Felicia: How difficult is it for you to balance a family with skating? Mike: I find the balance to be difficult from a logistics and scheduling standpoint. But in terms of my enjoyment, my greatest reward comes from being a very involved parent and directly being able to experience the growth and maturation of my kids. Although I have experienced some of my most proud accomplishments skating, they would not be complete without my family by my side. If I lose everything but still have my family, I have everything I could ever need. Felicia: In your opinion as a skater, what is the biggest problem with the Code of Points, and what do you think should be done to fix that problem? Mike: After speaking with many of the skaters, their biggest issue seems to be that as skaters are subjected to audience, media, and fan scrutiny, why should the judges not be subjected to that as well? If we perform poorly, we have to talk to hundreds of members of the media and explain ‘why’. Therefore, why shouldn’t the judges have to explain how they came to their conclusions? Why is there anonymity with their scores? If there is nothing to hide, why hide it? Marcus: You’re long program music this season has been criticized as tacky and tasteless. Did these criticisms come to mind when you were choosing your programs? Mike: Well I do know that there are some harsh critics out there regarding everyone’s performances. I think as skaters and athletes, we are just trying to meet the demands and expectations of a lot of different kind of people. Some people like what you do and some people don’t. That is the beauty of ice skating and a principle that our country was founded on. The freedom to have your opinion of good, bad, handsome, ugly, villain or hero. How boring would it be if we all agreed all of the time? I am very proud of my heritage and the principles that this country were founded on. The USA has provided many people the choices to pursue their dreams. It has provided me with the opportunity to do what I love to do and the resources to take my career as far as I can. Certainly, I don’t agree with everything that our countries leaders do. However, I do stand behind the history of our country. I think doing a patriotic piece honoring the Civil War, and our forefathers who died for our rights and freedoms, isn’t much different than a Spanish person skating to Malaguena or a Russian person skating to music from his/her homeland. Dunja from Croatia: Where do you and your family like to go for vacation? Mike: My wife and I really enjoy the sun and the beach so we often go to the Caribbean or Florida. We just recently took the family down to Miami for a week. My kids love to play in the pool and the ocean! Brigitte L: Is it possible to spin on the heel of your Freedom blades? What does it feel like to do a spread eagle on them? Mike: I can spin briefly on my heels, but they are mainly used for footwork in show programs. Initially, it was difficult to find the proper balance point when doing the spread eagle on my heels, but after practicing for a while, it became really fun to hit the “sweet spot” and just go from end to end of the rink! Kasey: What do you think your future holds after you retire from eligible skating? Do you think you’ll ever work as a coach or choreographer? Mike: I am currently involved in motivational speaking which I really enjoy. The tools applied to becoming a successful athlete are very similar to what it takes to be successful in business or practically any other activity. While speaking can be hard work, it comes relatively natural to me so I may like to explore some TV commentating as well. Through speaking or broadcasting, I hope I can inspire or motivate young athletes to pursue their Olympic dreams. Rebecca: What do you draw your inspiration from? What motivates you to keep on going? Mike: My inspiration comes from going through the process of trying to succeed. Setting goals, taking risks, changing plans, being disciplined, determined, motivating myself through long training sessions, and persevering through the failures. These are the lessons I am always trying to master. It is a never ending battle. Once you think you got it right, there is a setback and you have to start over again. This pursuit of excellence keeps me going. Plus, I really enjoy the sport! Latara: Why did you say such bad things about Johnny Weir and Matt Savoie’s skating at last year’s nationals? Mike: I have a lot of respect for my competitors. I know the hard work that is put in to compete at this level and I would not intentionally put down another skaters hard work. Sometimes the press will interpret things differently than intended, and that is part of our sport. I am not sure what was written, but what I said when asked how Johnny and Matt’s programs would compare to others technically at the World Championships, I replied that artistically they are as good as anyone at Worlds. They are both strong spinners and have good footwork. But technically, at Junior Worlds you can win with a triple Axel. Not at Worlds. You need a quad in the short program to compete for a medal. Somehow that was construed as me saying their skating was “Junior-ish” and that I felt I should have been ahead of them. I did not feel that way at all. They skated better than me that night. When asked about my marks, I said I felt a 4.9 was harsh for a program with a quad toeloop combination, but I didn’t feel my placement was unjust. Just the mark. I have learned over the years that the members of the media are still actual people that have emotions and that those emotions are attached to what they write. So as a skater, my emotions are likewise attached to how I perform. These feelings make it difficult to keep an unbiased opinion. So it comes as no surprise to me that things are often lost in the translation. Mathman: Are you still practicing the quad Lutz? Mike: Yes I am. I stopped working on it last year because of an injury to my left ankle that hurt my lutz jumps. However, with a year of recovery, I plan on bringing it back and trying it again this upcoming season. It is a goal of mine. Maybe someday? Mathman: You are a fine role model as a person who has balanced a career as an athlete and entertainer along with your responsibilities as a husband, father and citizen. Are you involved in any charitable work? Mike: Yes, I have worked with many charities over the years including the Special Olympics and Cystic Fibrosis. I have recently started the Michael Weiss Foundation that helps young and up-coming skaters who need financial assistance to fulfill their skating dreams. I have always felt that a talented, young, determined skater’s Olympic dreams should not be squashed by lack of finances. So I am trying to raise money for the new foundation so I can help these skaters continue chasing their goals. To get the foundation started, I personally gave almost $10,000 in scholarship money to three young, talented skaters. Nick Castaneda of Wachovia Securities was generous enough to help organize the first awards presentation by flying in Daisuke Murikami, Christine Zukowski, and Christopher Toland to Washington DC. We presented them with the checks and gave them a guided tour of our nation’s capital. All of the skaters received skating clothes, bags, and apparel from Capezio’s new line of skate wear. Our Gold Scholarship winner, Daisuke, also received an all expenses paid trip to stay in Times Square in New York City and get a custom skating costume designed and made by Tania Bass, my skating outfit designer. Layne: What competition is tougher for you, Nationals or Worlds? Mike: Is ‘Yes’ an okay answer to this one? They are both tough, but for different reasons. Nationals is stressful because first there is the pressure to just make the World or Olympic Team. Secondly, there is the pressure to be the champion of our country. You can lose everything all year, but win Nationals and have a great year! Worlds is different because you’ve made the team, but now the pressure of representing the entire U.S. can be overwhelming. There is more depth of skaters at Worlds, so your room for error is much smaller. One minor mistake and you could be out of the medals! There is no question that those two are the toughest competitions of the year. Which one is tougher sometimes depends on the year. Mathman: Is the “Tornado” move as dangerous as it looks? Mike: Yes, it is very dangerous. I practiced it for years on the trampoline before ever trying it on the ice. Even then, I used a helmet and hockey pads for safety. It is an element that I knew I was the only one dumb enough to do, but that is the fun in doing it! It pushes me to my limits and pushes the envelope. Sometimes it is fun to try something no one has seen before, keeping the sport interesting and fresh. Garrett: Are you still working with the hypnotist who helped you before last year’s World Championships? What did you feel helped you skate better with the hypnotist helping you? Mike: Yes, I am. Topher Morrison is my sports psychologist and hypnotherapist. He is a very motivating and inspiring person who projects such a positive energy when working with him. He works a lot with me on goal setting for competitions and gets me focused on those goals. He usually will talk me through a competition with as much detail as possible, describing what I see and feel (i.e. audience members, judges, coaches, starting position, program from start to finish, and even the kiss and cry emotions and scores). If my mind rehearses competition in enough detail, it will feel as though it has already been done successfully. So when I actually perform, it will seem or feel like a rerun of the rehearsal my mind is familiar with. It is a lot like mental imagery, it is just assisted mental imagery. I feel it makes me more comfortable and confident knowing my mind has rehearsed the situation and pressure spot before living it. Jack: Will you be skating in the Major League Figure Skating Tournament in June? Mike: No, it is not on my schedule right now. I’ll be knee deep in new programs in June! Terrance J.: How do you handle the pressure of competing? Mike: Just like anything, it is something that takes a lot of practice. The more you deal with pressure situations, the better you become at handling them. Things don’t always go as planned, so it is important be flexible in making adjustments. Always try to learn from the last pressure situation you were in and find a way to improve on it. Anonymous: What is your opinion on where the eligible competitive circuit lies? Do you think this season has been a disappointment for the viewers? Mike: As a viewer, I am sure it was confusing watching us compete under 4 different systems this year. I think the next 2 years are a crucial transition period. I don’t think anyone likes change immediately, skaters or viewers. However, in the long run, I think it is better for the integrity of the sport. We may have to endure a few years of confusion, disappointment, and adjustment to see the bigger, better picture of a hopefully improved judging system. Jennifer from New York: Despite your exceptional technical and stylistic skating skills, your career seems to be a roller-coaster of smashing successes and disappointing setbacks. Do you think you’re sometimes too hard on yourself mentally, and do you think that is a problem with many of today’s skaters? Thanks! Mike: That is what I enjoy about skating and sports–The work, the risk taking, the success and failures, the uncertainty of the outcome. Someone once told me you have to fail in order to truly appreciate your victories. I enjoy the ride and the process involved in Olympic competitive training. I like the lessons learned along the way–The never ending pursuit of excellence. As far as other skaters are concerned, I think it is a sport that teaches you early on that when it comes down to it, it’s you out there performing by yourself. The individual takes all of the blame for mistakes and all of the praise for success! Stephanie: How does it feel to still be competing internationally after so many years? Is it hard to travel and leave your family behind? Mike: I am very lucky in the sense that when I am home training, which is most of the competitive season. I am only training 2-3 hours a day, so the rest of my time is spent getting the kids ready for school, taking them to all of their daily activities, and just trying to be an involved dad. My career allows me to have a very flexible schedule, so I can be my own boss and work when I want, or take time off to spend it with my family. It also helps that my wife and I have a great support group in our families. We have two sets of very involved grandparents that are excited to watch the kids if I am away for a competition internationally. We have a pretty close knit family of aunts, uncles, and cousins that live nearby, so that makes for a comfortable setting for the kids to grow up in. Paula: Did you meet any personal “on-ice” goals that you set for yourself this past season? Can you elaborate? Mike: I have never won a Skate America event or medalled at the Grand Prix Final. So those were goals that I achieved for the first time. Paula: Rumor has it that you will be spending this summer evaluating your eligible career. Does this mean we may not see you on the amateur circuit next year? Mike: I am taking this spring and summer off of touring so I can recover from a season that had me competing 10 times this year, and even more shows. I need a break to recover so I can get motivated and ready for next season. Yes, I will be back! Paula: Thank you for taking the time to answer some questions from your fans! Is there anything you would like to add and/or share? Mike: I would like to thank everyone for the excellent questions. Part of what makes figure skating so great is the relationship between the fans and the skaters. When we step on the ice we aren’t just performing for the judges but for the audience as well. That’s an element that doesn’t exist in any other sport and it can be the the most satisfying part. I am thankful that I’m able to keep competing and am really looking forward to the future.